Readers sound off about Proposition 59, homelessness, and the Express' layout. In layout-editor position, you need to hire an old person who wears glasses. White font on turquoise background is simply impossible to read for many of us. I think this is just pitiful. I do not like seeing those raids. ... And I do not think they should take their property. Everybody needs a base. And these people need their belongings to survive, such as containers for water, tarps, carry-alls, sleeping bags, and clothes. Does anybody know how much energy it takes to replace these things? They have no transportation. I am thinking that many may die because of these confiscations. The authorities say that it was from pneumonia but how do we know it was not because their sleeping bag was carelessly thrown out? Seventeen initiatives on the November ballot should be no problem. If you don't understand or have no opinion on a particular measure, just leave it blank. But with the death penalty, legalization of marijuana, keeping higher tax rates on the rich, and raising the tax on tobacco produce all on the ballot, there should be something to interest almost everyone. Your summary of Proposition 59 is a little misleading. It's super minor, so maybe not even worth the distinction, but the primary mechanism to overturn Citizens United isn't the Supreme Court. As of now, it's Congress. California's elected officials don't really have power over changing jurisprudence around corporate control in politics. The measure is definitely only a gesture, asking if voters would prefer their representatives to direct energies toward overturning Citizens United. As I understand, it's largely focused on getting Congress to pass an amendment overturning CU. And I think the logic here is that, if enough states pass this resolution with overwhelming support (Montana and Colorado have, with more than 70 percent of the vote), then Congress will feel more pressure to pass an amendment. But this particular tactic to overturn CU is not really about the Supreme Court. Functionally, I suppose it's not that big of a difference, as the odds of an amendment getting a two-thirds majority vote in Congress are pretty slim, anyway. But thought I'd bring it to your attention. If you can't afford where you live, you move to where you can. Oakland and the Bay Area are not the only places in the nation that have a lock on quality of live. Move! Your mantra "30 percent or less for rent" should be about earning more income yourself, not anybody subsidizing your Oakland lifestyle. Or, better yet, save your money, work a part-time job, etc., and become a homeowner. It's a commitment, and you can't eat out much, but you will be better. 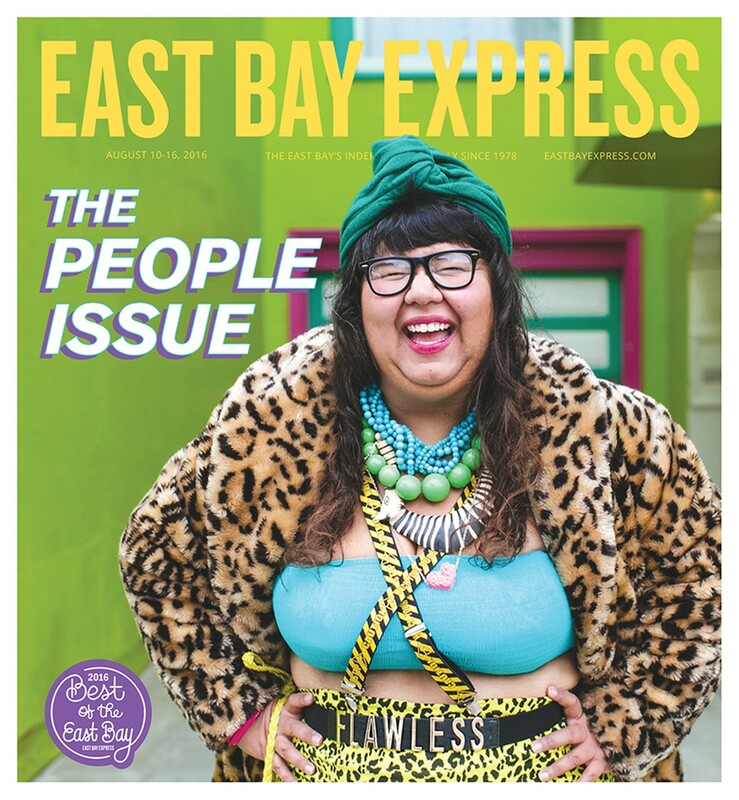 Last week's "The People Issue" included a profile of My-Linh Le. In that piece, statements were incorrectly attributed to Le. The online version of the story has been fixed. We apologize for these errors.